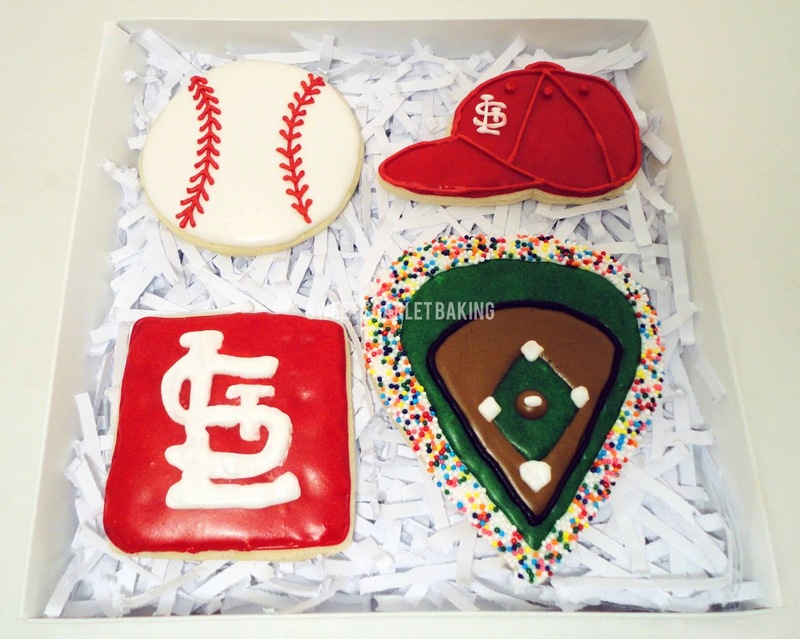 Is it baseball season, yet? 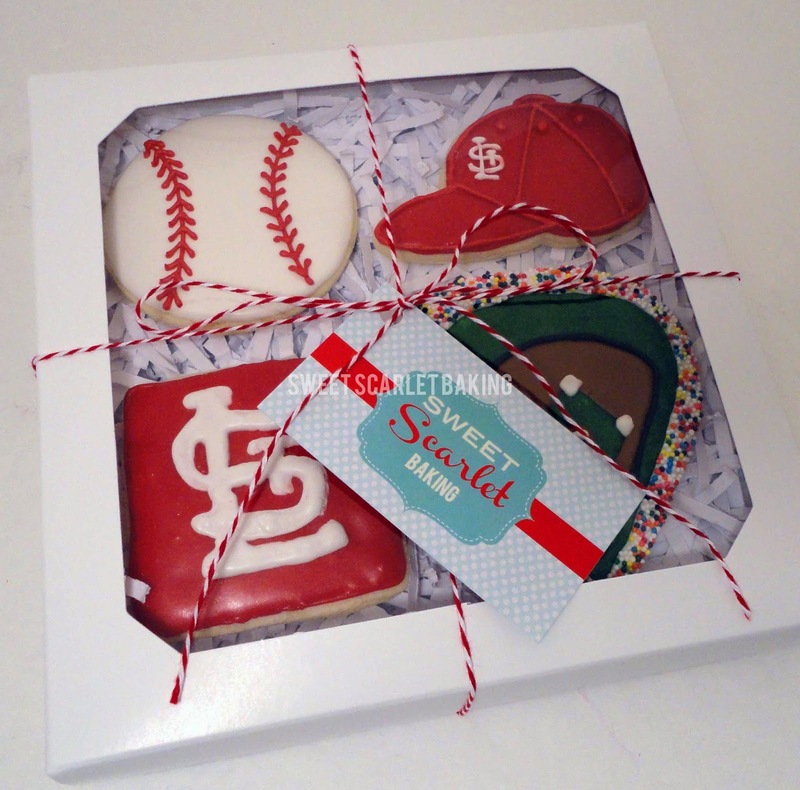 St. Louis loves baseball and even though the official season hasn't begun, yet, I had a request for Cardinals' baseball sugar cookies. I created this gift box to add to an auction basket at my sons' school silent auction trivia night. Go Cards!